Originally published in 1984. 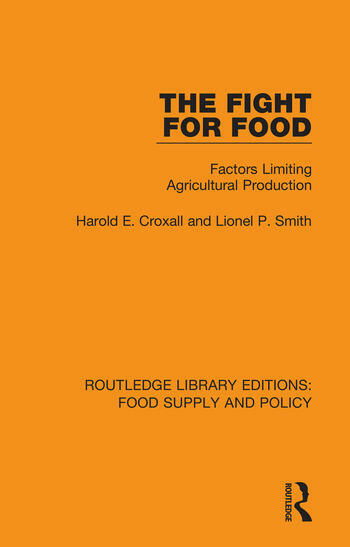 Without technical Jargon or a mass of confusing statistics, this book describes a wide range of factors influencing agricultural productivity including weather, soil biology and ecology, and human, social, economic and political factors. The ways in which these factors operate and interact with each other to produce the changing circumstances in which farmers take their decisions are discussed. These decisions are the crucial factors in every productivity problem and the authors suggest policy changes which could improve the chances of farmers making the best choices, not only for themselves but for the consumer and the community at large.